Learn about our fixed rate mortgages, adjustable rate mortgages and other mortgage programs. Our fixed rate mortgage loan options offer a stable interest rate and a principal and interest payment that won't change over the life of the loan. We offer 10, 15, 20, 25, 30 and 40-year fixed rate loan options. We offer a variety of Adjustable Rate Mortgages (ARMs), including 3/1, 5/1, 7/1 and10/1 ARMs. Typically adjustable rate mortgages begin at a lower interest rate, which can help you qualify for a larger mortgage loan. The 'low' introductory rate is used to calculate the mortgage payment for a specified period of time (3, 5, 7 or 10 years, depending on which adjustable rate mortgage you choose). Once this introductory period is over, the interest rate adjusts periodically and the payments may move up or down. A balloon mortgage is a short-term, fixed-rate mortgage that offers a lower interest rate throughout repayment, but requires a lump sum payment due at the end of a specified term. Balloon mortgages have five and seven-year terms, which means the lump sum payment is due at the end of five or seven years, depending on what term you choose. Jumbo mortgage loans are loans above the maximum loan amount established by government-chartered corporations Fannie Mae and Freddie Mac. Since these loans don't conform to Fannie Mae and Freddie Mac underwriting guidelines they do not have government guarantees. Jumbo mortgages are generally priced slightly higher than conforming loans, range from $417,001 to $1 million or more. Blanket Mortgage offers jumbo mortgage loans in a variety of terms for primary residences, vacation homes and investment properties. 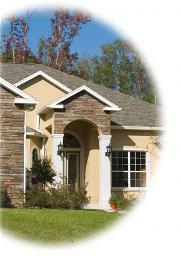 All jumbo mortgage loans are subject to program underwriting approval. With these loans you only make interest payments during an initial period of the loan term (usually five to 10 years). During the initial “interest only” period, your payment will not include any repayment of principal. So, the loan balance remains unchanged. Once the initial term expires, the interest only loan will become a fully amortizing loan based on the remaining term, and you’re payments will include interest and repayment of principal. While you're only required to make only interest payments during the initial “interest only” loan period, you can choose to pay more than the interest to help lower your principal. We offer an interest only loan option on our 30-year fixed mortgage and our 3/1, 5/1, 7/1 and 10/1 adjustable rate mortgages. Keep in mind that interest only adjustable rate mortgage loans are subject to periodical rate adjustments, once the introductory period ends. With a cash-out refinance, you can access the equity you’ve built in your home. You can use this cash for things like home improvements, college expenses or a new car. Many of our customers also choose to use the cash-out refinance to consolidate credit card debt. Blanket Mortgage allows up to 90% Loan-to-Value on cash-out refinances for primary and second homes. Say your existing house is worth $225,000, and you currently owe $150,000. You need $25,000 to pay off your credit card debt. You refinance your home loan with a mortgage of $180,000. Through the cash out refinance, you pay off your current loan of $150,000. You’re left with $25,000 to pay off your credit card debt and $5,000 to use towards closing costs and other small purchases. * The above example assumes an original 30-year fixed rate mortgage of $155,000 with an interest rate of 7.75% and a monthly payment of $1110. As a result of regular monthly payments, the unpaid balance of the loan has been reduced to $150,000. The loan is refinanced with a Blanket Mortgage Company 30-year fixed rate mortgage of $180,000 with a monthly payment of $1108 and a Loan-to-Value ratio of 80%. The interest rate on the Blanket Mortgage Company loan is 6.25%. The annual percentage rate for the new loan is 6.322%. The example assumes that the credit card debt has an Annual Percentage Rate of 18% and requires a monthly payment of 2.5% of the unpaid balance. Our second home financing options are second to none! If you’re looking to buy a second home, you can enjoy low down payment options on any of our fixed, ARM or balloon products.